Last week my 2 year old daughter whacked her head on the sharp edge of a radiator while running at top speed across the landing. She had a gaping wound, pouring blood, and was in hysterics. Luckily I had only recently updated my first aid training with the “Lismore Community First Response Programme” so I knew exactly what to do. I stopped the bleeding, dressed the wound, and little Holly was calm again in no time. No parent wants to think about their child getting seriously hurt, but it’s better to be prepared. If it was your child, would you know what to do? Thankfully children rarely get seriously hurt. Their bones are a little more flexible than ours, so they often seem to bounce in situations where an adult would surely suffer a painful fracture. Most parents are also very aware of the various potential dangers around the home, and do their best to keep their little ones safe. However, accidents happen, and at these times it can make all the difference if you know what to do. The Irish Red Cross provides training in first aid, which includes treatment for a variety of medical emergencies including choking, breathing difficulties, seizures, wounds, burns, broken bones, and other injuries. The training also covers emergency situations which more commonly affect adults, such as heart attacks and strokes. In these situations, early intervetion is vital, but depending on where you live and whether there are other emergencies being dealt with at the time, it could take an hour or more for an ambulance to arrive. 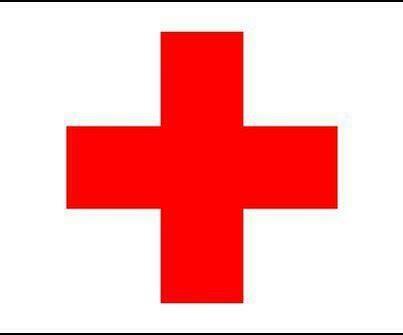 Therefore a knowledge of first aid is a very valuable skill for any parent, or indeed for anyone. I did my training with the “Lismore Community First Response Programme”, and a second group of first responders completed their training in Lismore last weekend. These volunteers will be contacted by ambulance control to to attend medical emergencies in their local area. A community first responder will be able to reach the patient within a few minutes, and provide first aid, perfom CPR (cardio-pulmonary resuscitation), and use a defibrillator where necessary. This will help to start and maintain the chain of survival during the crucial early stages, until a fully equipped ambulance arrives. If you are interested in training in first aid, or would like to volunteer for the Lismore Community First Response Programme, please check out the “Lismore Community Response Programme” Facebook Page. If you don’t feel that being a first responder is right for you, volunteers are also needed to help with administration, PR and fundraising. The Irish Red Cross is also hoping to establish a branch and Cardiac First Responder (CFR) scheme within the town of Dungarvan, and a public meeting about this will be held in the Park Hotel at 8pm on the 8th November. Everyone is welcome to attend.